Mezzo-soprano Amanda Fink has most recently been seen at the Smithsonian Museum, performing solo excerpts from Rossini’s Stabat Mater with the Choral Arts Society of Washington. Other 2017-18 engagements include Cherubino in Cleveland Opera Theater’s Le nozze di Figaro and as the alto soloist in Beethoven’s 9th Symphony with the Apollo Orchestra in Washington, DC. In January of 2017, Amanda participated in the Metropolitan Opera National Council District Auditions, where she was the recipient of an Encouragement Award. Summer of 2017 saw Miss Fink performing a number of public concerts, both as part of a summer concert series with Cleveland Opera Theater, as well as in New Mexico as a promotional series for Land of Enchantment Opera. ​ In the 2016/17 season, Amanda joined the Pensacola Opera Resident Artist Program, making her company debut in the role of Flora Bervoix (La traviata/Verdi). Role debuts while in Pensacola included Olga in Franz Lehar’s The Merry Widow, and Zosha in Jake Heggie’s Holocaust opera Out of Darkness with text by Gene Scheer. While in Pensacola, she joined the Choral Society of Pensacola as the alto soloist in Mendelssohn’s Elijah. Following her residency in Pensacola, Amanda returned to Washington, DC to debut as a soloist with the Cathedral Choral Society in Beethoven’s C Major Mass and Choral Fantasia at the Washington National Cathedral, conducted by late maestro J. Reilly Lewis. That July, she made her Canadian debut singing Cherubino in Le nozze di Figaro with Brott Opera in Hamilton, Ontario. In the 2014-2015 season, Ms. Fink was an Artist-in-Residence with Dayton Opera, where she sang the roles of Sister Lillianne (Dead Man Walking/Heggie) and 2nd Lady (Die Zauberflöte/Mozart) in “a performance that had it all” (Oakwood Register). Additionally, she covered the role of Sister Helen Prejean (Dead Man Walking/Heggie), performing her signature aria ‘This Journey’ at previews and PR events, including Dayton’s NPR station 93.1 WYSO. In November of 2015, she performed as a guest artist alongside members of the Washington National Opera Domingo-Cafritz Young Artist Program, singing Mercedes in scenes from Carmen with the Apollo Orchestra in DC. 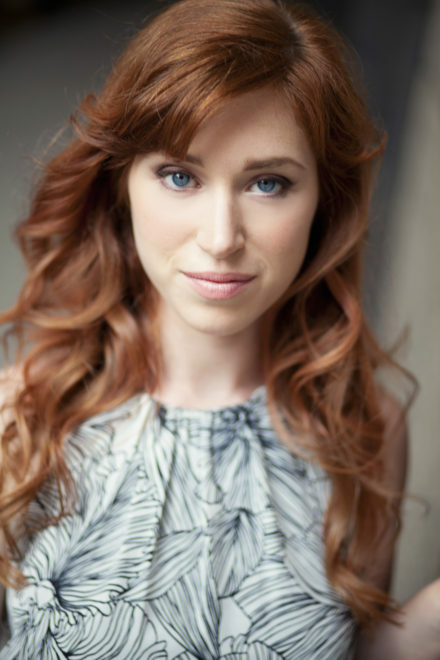 Ms. Fink holds degrees from Chapman University and the University of Maryland, where she was a member of the Maryland Opera Studio, working with renowned director Leon Major.